♫♩ A Musical Review & A Love Story ♥ – The Small Things. Everyone has a favourite band. A favourite song. A favourite quote. For me all of those things come from the same source. 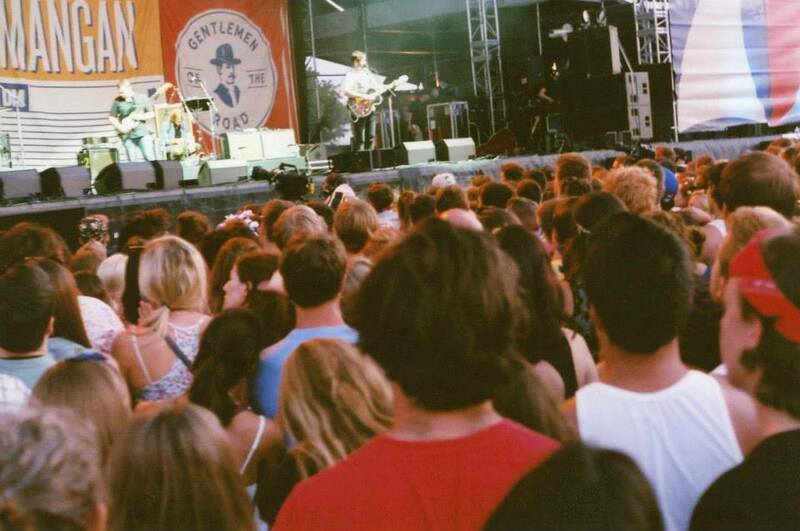 Mumford & Sons. The band, in my opinion, can do no wrong. They are flawless, in every sense of the word. There are a number of reasons why I love Mumford. First and foremost, they are spectacular musicians, song writers and performers. You can see, hear and feel the passion that goes into making their music. Secondly, Mumford is the reason I met Lucas. You see Lucas and I actually went to the same high school, two years apart (for the record, I am older). We had mutual acquaintances, I had heard his name a few times in passing but we never crossed really paths. 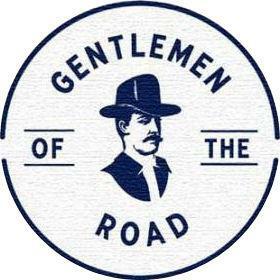 In August of 2013 I went with a group of friends to see Mumford play at the Gentlemen of the Road traveling concert festival. 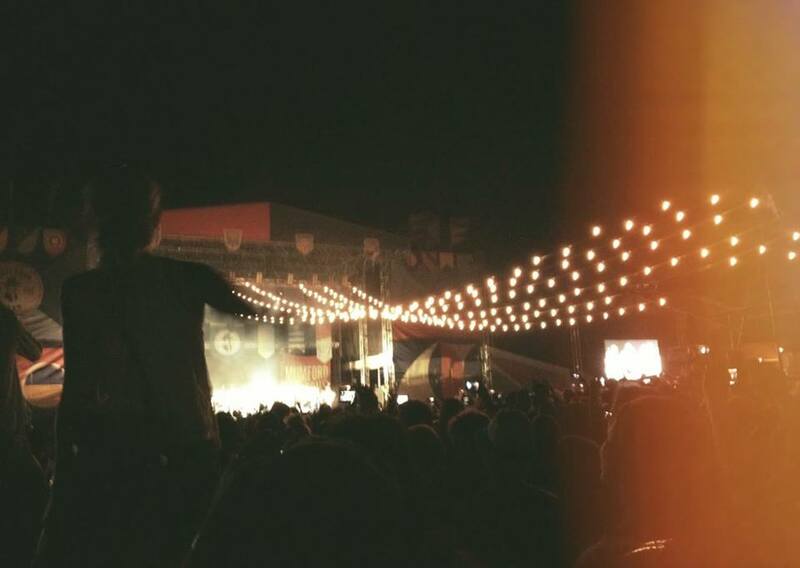 The festival was essentially two days jam packed with live musical acts with Mumford as the closing act on the Saturday night. 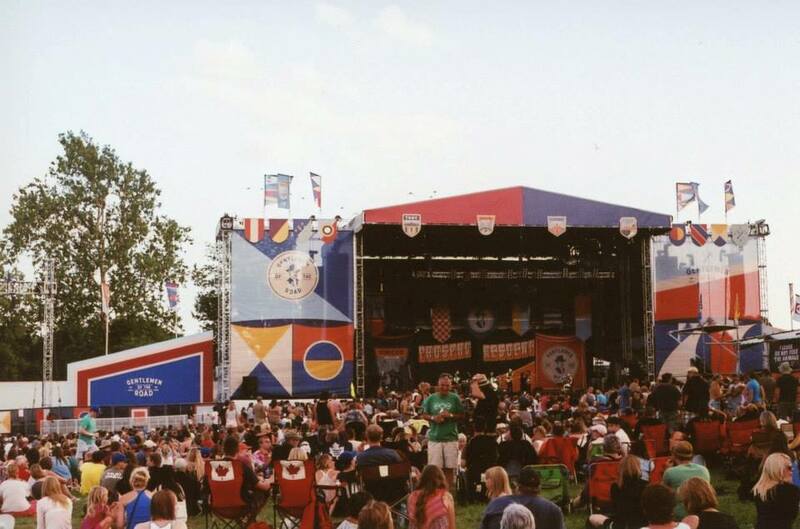 The venue was about 2 and a half hours west of Toronto. I was traveling and camping with a group of 4 girls. Myself, Karin, Sam and Alicia. When we arrived on the Friday afternoon we went straight to setting up camp. That was easier said than done. Do you know how many poles come with a camping tent? So many! Since it was going to take us a while to set up Sam decided to call in reinforcements. Two of her friends from high school who were also at the show for the weekend, Lucas and his buddy Taylor. No joke, as they wandered over to our tent disaster I looked at Lucas and thought “who is he? He is very cute. I must know him.” Luckily the feeling was mutual. 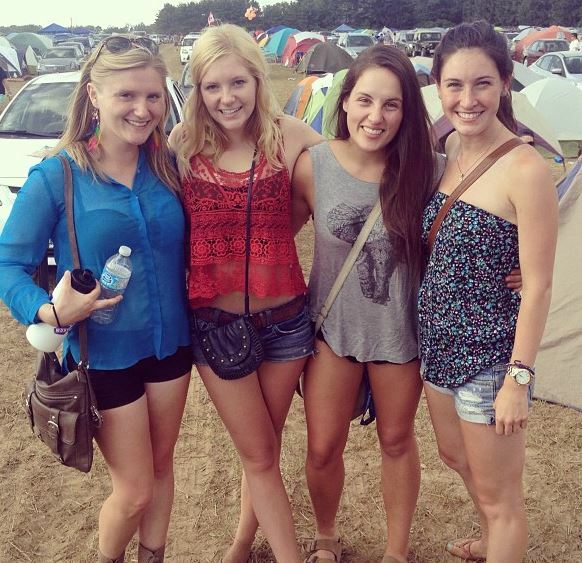 The rest of the weekend kind of went by in a whirlwind of music, beer, sunshine, dancing and laughing. When I think back on that weekend I feel like Lucas and I were inseparable. I think he was by my side from the moment I met him to the end of the weekend when we had to drive home again. But somehow we managed to avoid having a picture taken together. The whole weekend was almost too perfect. If someone had told me that the whole thing was a dream I would have believed them. I think there is something magical about music, especially live music, that brings people together. In a lot of ways Lucas and I are major opposites. He is a free-spirited, spur of the moment kind of person. I am meticulous planner and goody-two-shoes. I like to think that we have influenced each other for the better. He has helped me to relax and enjoy the moment and I think I have helped him to find a stronger sense of direction in terms of his goals and such. But I honestly don’t know if we would have had that connection, that spark, if we had met anywhere other than at a concert. So you see, I feel as though Mumford & Sons brought Lucas and I together. Naturally I was devastated when they announced their hiatus in September of 2013. They had just given me an amazing weekend, an connected me with an amazing person and all I wanted to do from that moment on was go see Mumford play live music, with Lucas at my side. 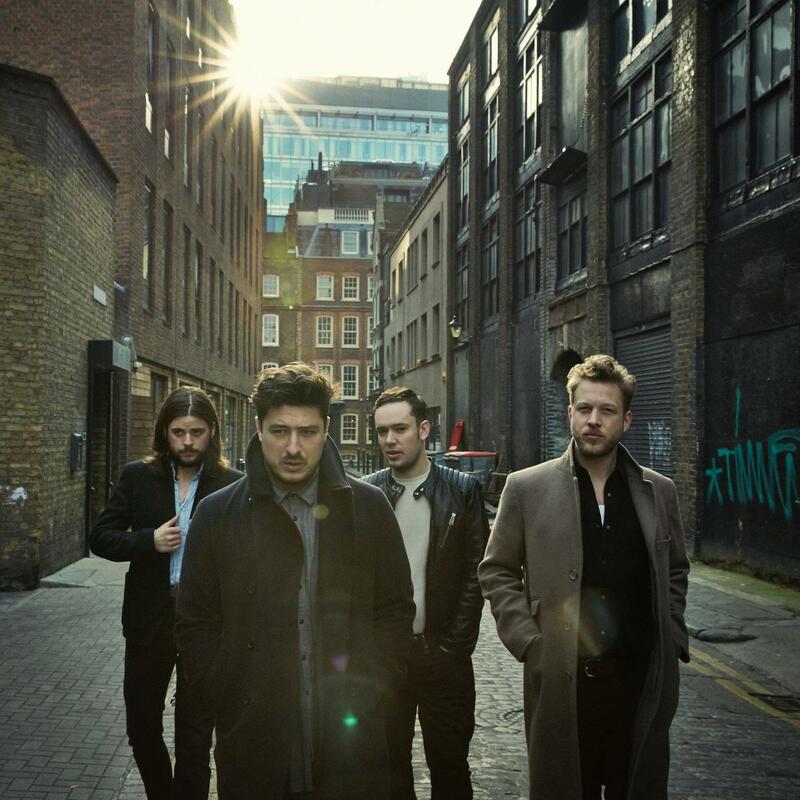 After a very long year and a half they have finally made their way back onto the music scene with their brand new album, Wilder Mind, released on May 4th. At first I was really nervous about this new album. In their time off Mumford ditched the banjo, which they were essentially famous for, in favour of a more classic rock inspired sound. Don’t get me wrong, I love me some classic rock, but to me Mumford is synonymous with indie, and rock isn’t indie. The first single dropped from the album was titled Believe. I’ll be honest, on first listen it felt like Coldplay and I was confused. It was a great song but it didn’t sound like the band I knew and loved. So when the new album finally came out I was expecting to be “meh” about it. Oh! How happy I am to say that I was wrong! I’m not sure exactly how to explain this but I’ll try my best. There are a number of good songs on the album, there are a number of great songs, and there are a few just okay songs. But as a whole, as one piece, from beginning to end, listened to in the order they intended it is perfect. The album tells a story, the songs compliment each other, the music ebbs and flows through the entire work. While the banjo is noticeably not present the music still feels like Mumford in the vocals, the orchestral background music and in the lyrics. I beg of you, please do not listen to this album on shuffle. Hear it how Mumford intended it to be heard. I think Mumford and Sons successfully accomplished what Taylor Swift also accomplished with the release of her most recent album 1989. Both Mumford and Swift managed to change their sound without compromising their music or betraying their loyal fan base. I feel that they were able to do so because they made a strong, confident 180. Instead of writing songs, they curated entire albums. And that, I feel, is what makes all the difference. It is a magic that we are lacking today. Because of iTunes we have the “luxury” of picking and choosing songs, rather than listening to entire albums. So a lot of artists make a few great singles and really poor albums. Although with the renewed popularity of vinyl records this is hopefully going to change. 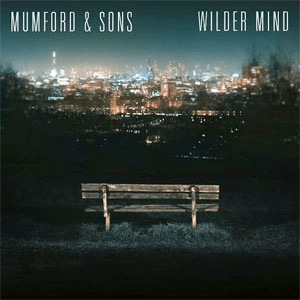 If you haven’t had the chance to check out Wilder Mind, do it now! And if you have, what did you think?! Share in the comments! Thanks Millie. It’s amazing how music can bring back very specific memories. Mumford will forever remind me of Lucas. Thank you! I like to think that it was a pretty romantic start to our story. 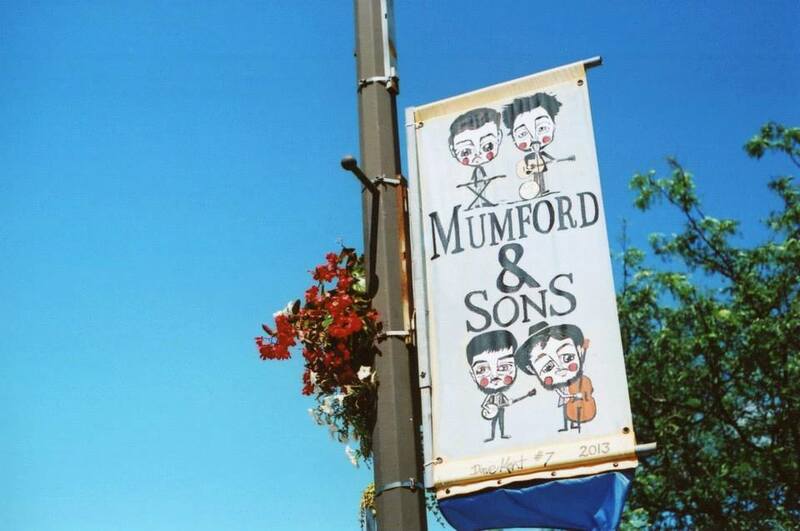 Luckily we have tickets to the upcoming Mumford show in Niagara Falls, so hopefully it will be just as magical as the first time. I am absolutely obsessed with Mumford. I was first introduced to them in 2010, and have been hooked ever since. I had the same thoughts in regards to their new album, but I listened to it (finally) yesterday for the first time while running and I’m hooked. HOOKED! I just love love love it. Thanks Brittany! I cannot stop listening to the new album. I’m not sure that it would work as running music for me (I need fast upbeat music for exercise) but right now I feel like I could play it on repeat forever and never get tired of it. Hooked!